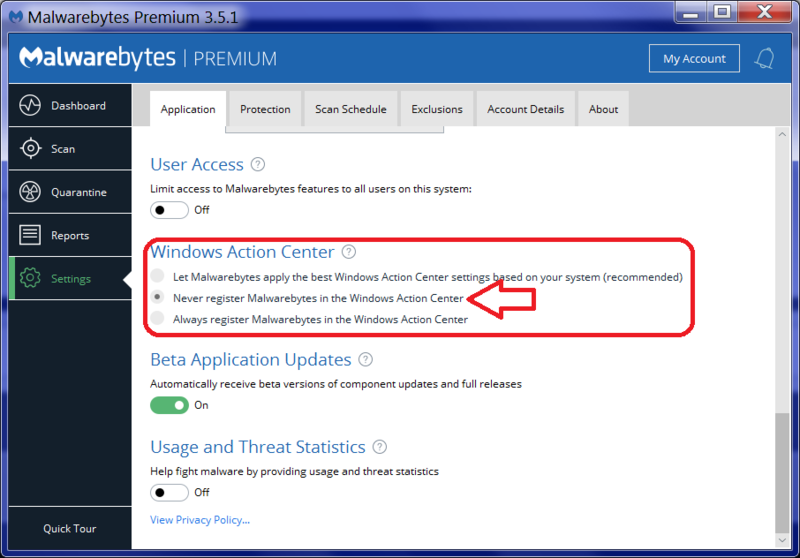 I found after running my Windows 10 Pro 32-bit Malwarebytes Premium program compatibility troubleshooter, it transpired a conflict of interests between MBAM and Microsoft's Windows Defender Security Center seen below photos. Certainly after updating WDSC Version: 1.273.1523.0 Released: Aug 16, 2018 10:55 PM UTC. Until that point, everything seemed ok and both programs seemed to get along fine, very odd indeed! I have no idea how not to set MBAM to not register with the action center. It has no conflicting issues with WAC so far as I am aware. I have tried your suggestion but the Ransomware Protection remains in the 'off' position and cannot be switched. 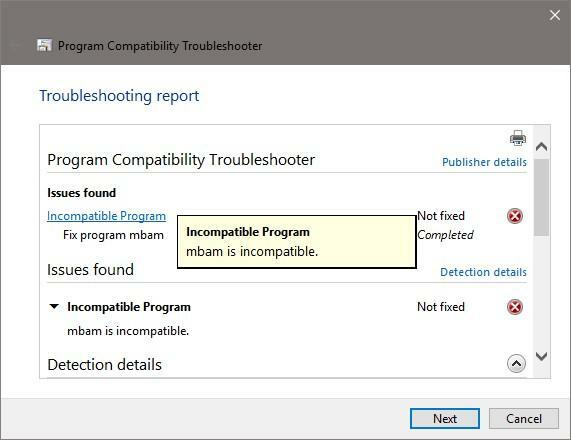 The MBAM Support tool troubleshooter will not generate a zipped folder. It runs only to report an error seen here in attachment. I sorted my problem. I had K/Drive in my exclusions list. 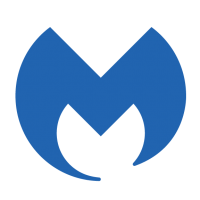 The moment I removed it from the list, exited Malwarebytes and then restarted, my Ransomware Protection switch was back in the normal 'ON' position.